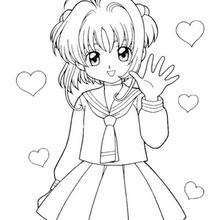 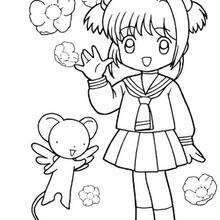 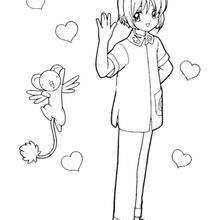 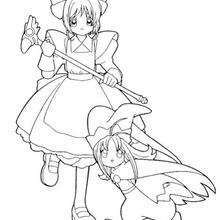 Would you like to offer the most beautiful Sakura in her school uniform and Kereberus coloring page to your friend? 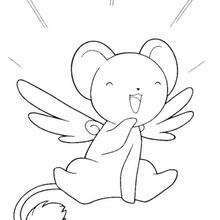 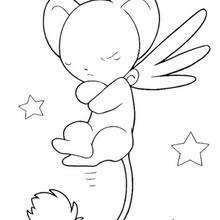 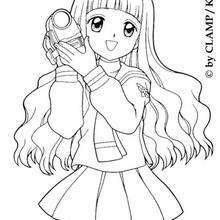 You will find lots of them in SAKURA coloring pages. 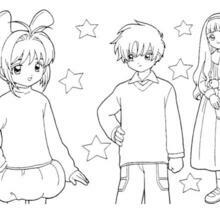 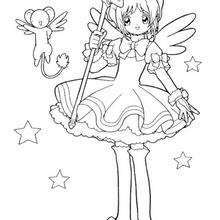 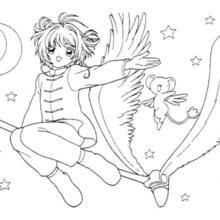 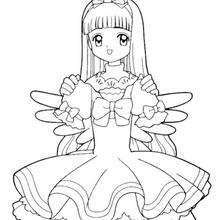 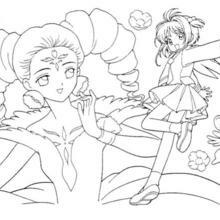 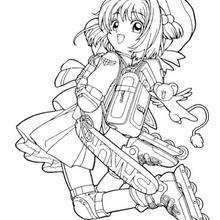 Add some colors of your imagination and make this Sakura in her school uniform and Kereberus coloring page nice and colorful.